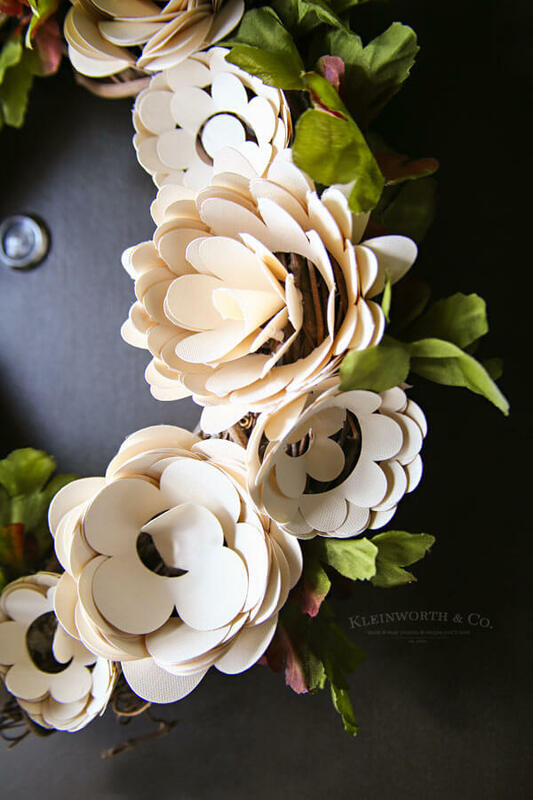 Paper Flower Wreath Cricut Tutorial is a super fun way to dress up your door for spring! 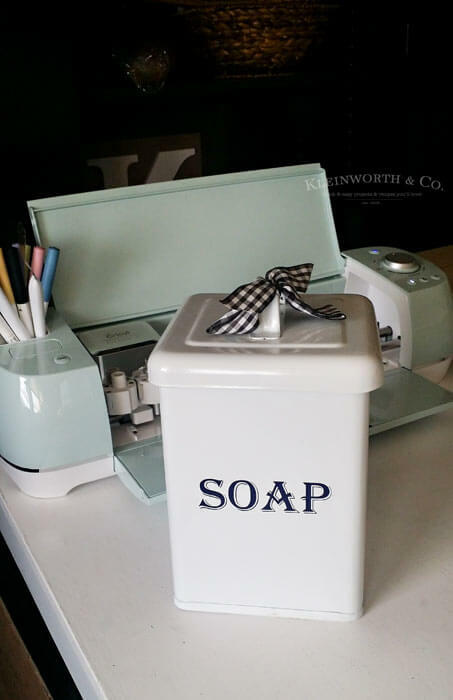 Check out my super easy how-to with Cricut Explore Air 2. I sure love making new wreaths for my front door. My goal is to always update the wreath for the porch at the beginning of each month. If I’m super productive, I actually make a new one for each month, with the goal of never using the same wreath twice. That being said, there are a couple that I have that I’m completely in love with & couldn’t stand to tear them apart to create something new. 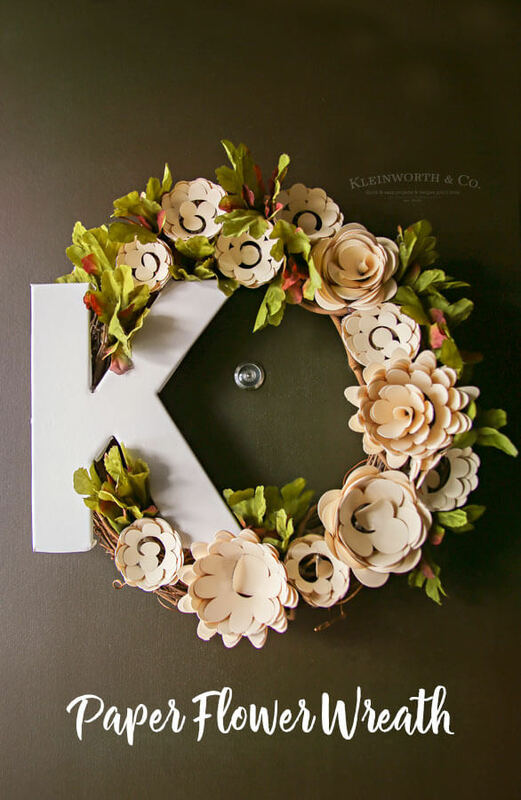 I have been itching to make paper flowers with my new Cricut Explore Air 2 & decided it would be great to take those flowers & make my March wreath with them! 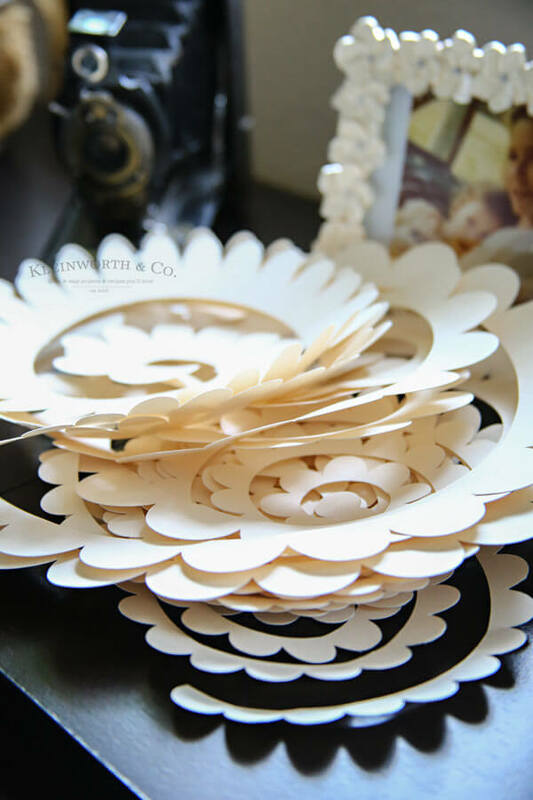 The crafting possibilities are endless with the Cricut & paper crafts like this are just the tip of the iceberg. I love all the super awesome Cricut projects I see so many people making & they certainly inspired me. 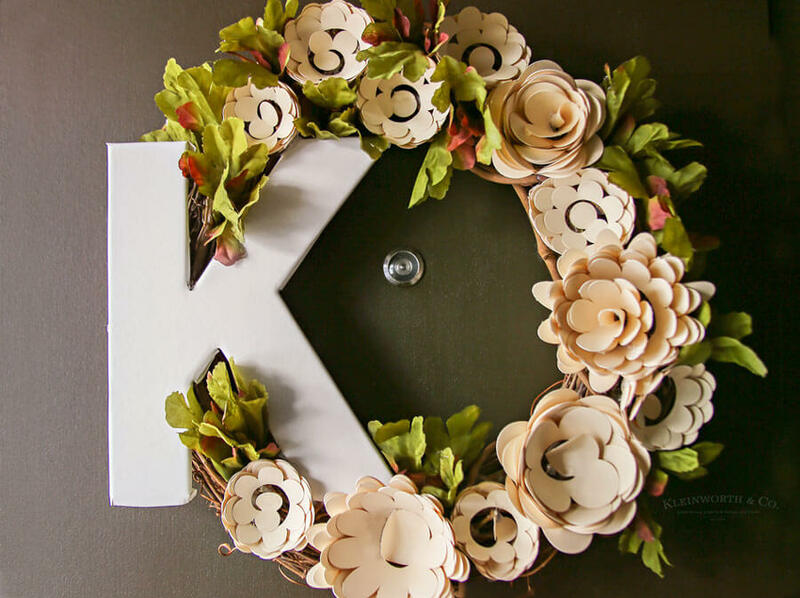 Check out how easy it is to make this wreath! 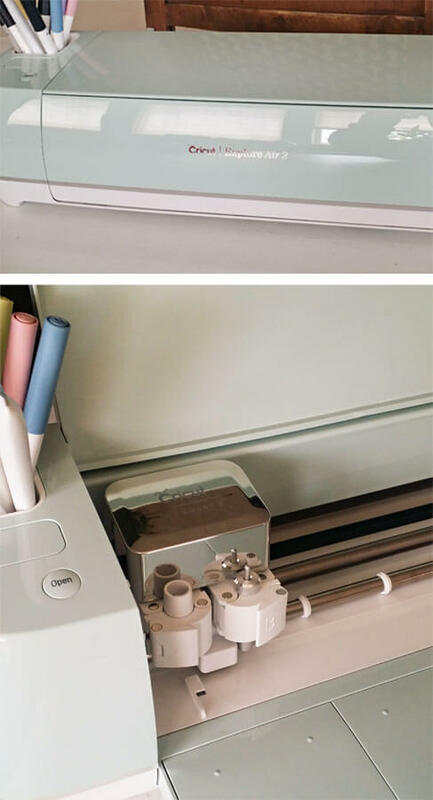 Like I mentioned, I started with my Cricut Explore Air 2! 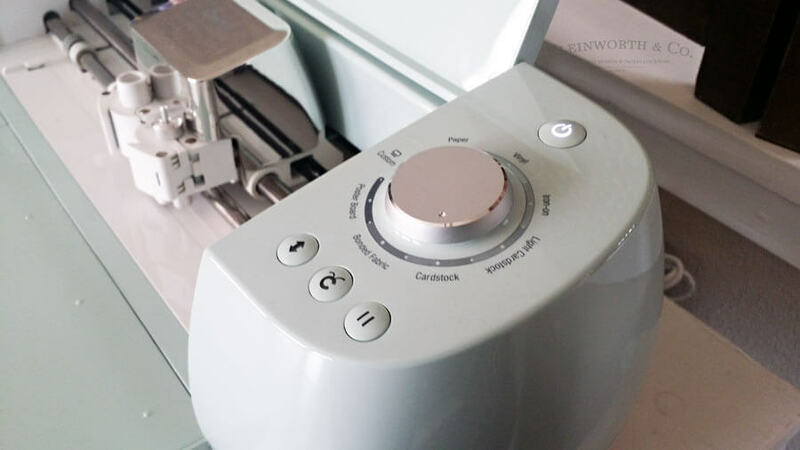 I love that it connects via Bluetooth, which means I can store it & use it on my crafting table, instead of my desk. 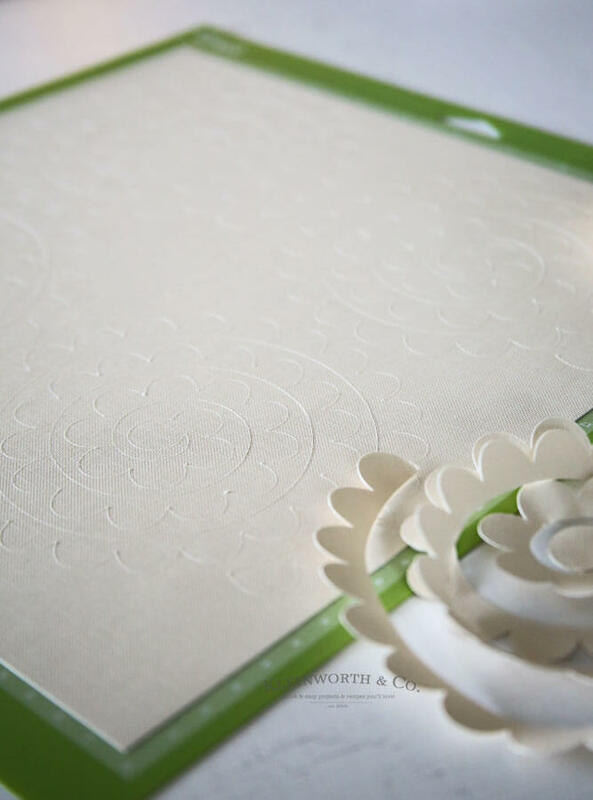 I went into the Cricut Design Space & chose my flower cut file. There are so many to choose from & with my Cricut access I have 30,000+ files that I can use that are included with my monthly subscription. Pretty cool! 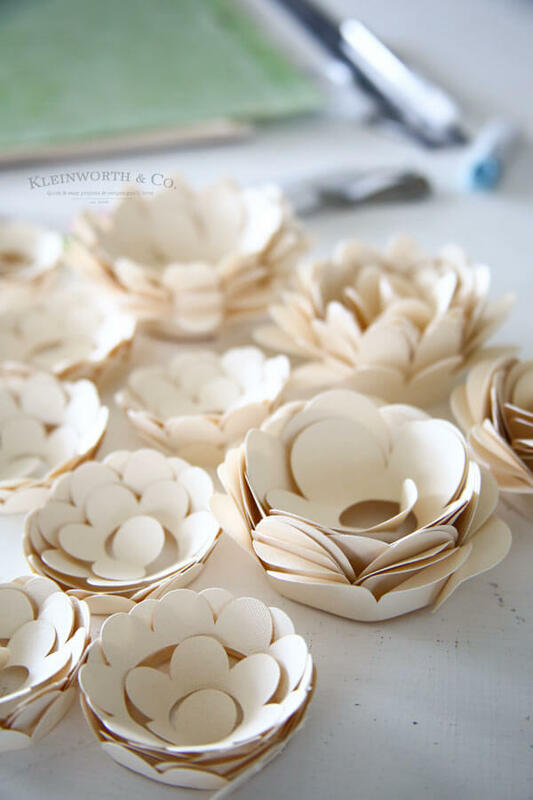 I wanted to maximize my cardstock, so I cut 4 large flowers that used one 12″x12″ piece per flower. 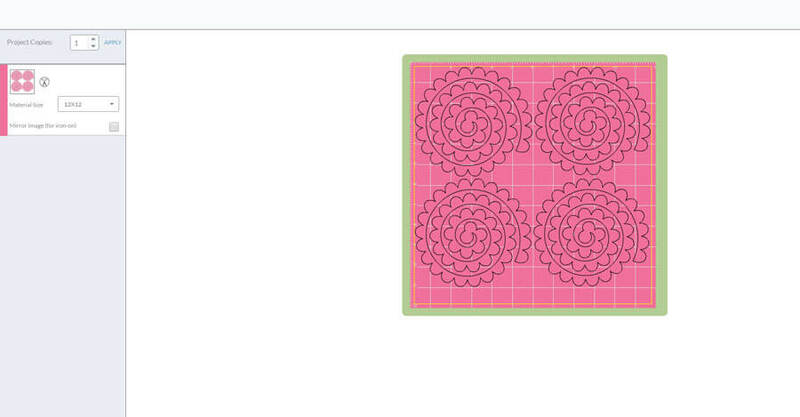 Then I made 8 small flowers by duplicating the file on the cut to fit 4 per sheet. I made sure the dial was set to cardstock & got cutting. You can see here what it looks like before you weed the cut piece from the full sheet. Here’s all the flowers after I finished rolling. I tacked the ends with double-sided tape. But when I attached to the wreath I made sure to add an extra dab of glue to make sure they didn’t come unraveled. Then it was as easy as hot glueing to a grapevine wreath. I added the cardboard initial & some silk leaves I had laying around for added filler. If I had green cardstock on hand while making this I could have also cut out leaves. Maybe next time. I love how it turned out! 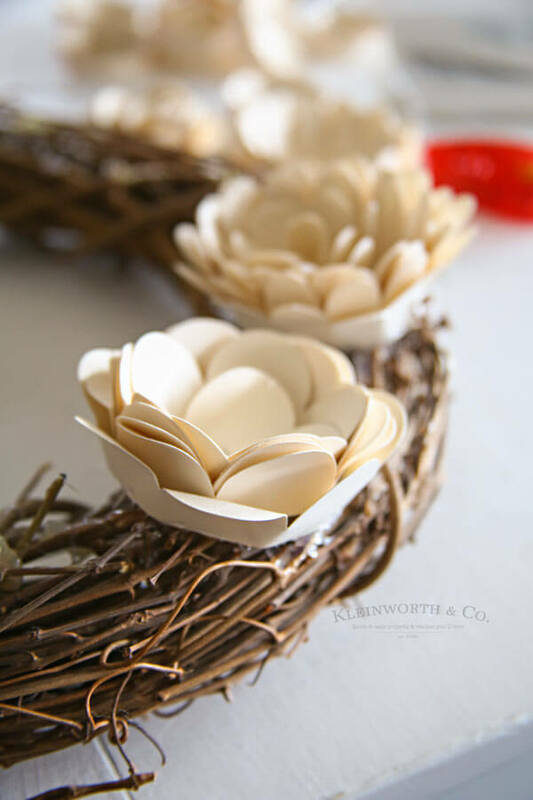 What a great alternative to buying new silk flowers for a wreath. It looks so pretty on my front door. This is definitely one of my favorite wreath projects to date. 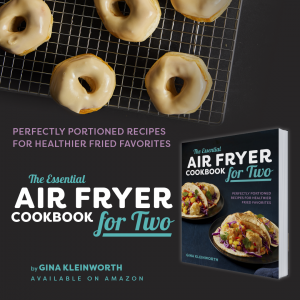 Looking for more great projects with Cricut Explore Air 2? I don’t have the machine but I do love your flowers and wreath.